The 2017 Lighting Energy Efficiency in Parking (LEEP) Awards recognize high-achieving parking facilities, honoring real estate owners who have achieved exceptional energy reductions at parking facilities through high-efficiency lighting and controls. LEEP is a collaboration of the Building Owners and Managers Association International (BOMA), International Facility Management Organization (IFMA), International Parking Institute (IPI) and USGBC in collaboration with the Department of Energy’s Better Buildings Alliance. 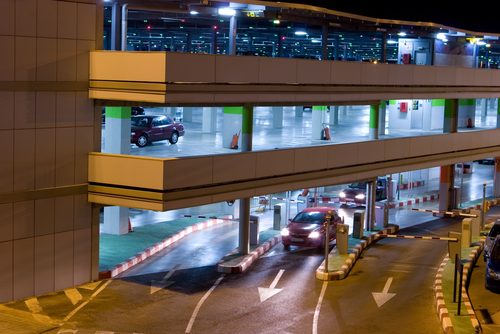 LEEP offers its participants free guidance and recognition for installing high-performance, cost-saving lighting in their parking lots and garages. According to the LEEP website, today’s lighting technology quickly pays for itself by cutting energy costs by up to 70 percent, eliminating up to 90 percent of maintenance costs and lasting two to five times longer than legacy outdoor lighting. By joining the LEEP Campaign and applying for a LEEP Award, you will benefit from tools to help you lower operating costs for both new and existing parking facilities. Campaign members gain access to the technical expertise of the Department of Energy, are recognized for participating and may be specially honored for exemplary achievement in 21 categories. To join the LEEP Campaign and submit your parking site for consideration for a LEEP Award, complete the 2017 LEEP Spreadsheet and submit it to Parksmart by June 2, 2017. You may apply with new lighting installs and retrofits made since January 2010. For a detailed definition of each LEEP Award offered, including award calculation and determination details, visit the LEEP website and download the LEEP Award Categories and Details. LEEP participants are eligible to win multiple award categories. To date, almost 200 properties have participated in the LEEP campaign. Many organizations that pursue LEED have participated, including Arby’s Restaurant Group, MGM Resorts International, Principal Real Estate Investors, the University of Minnesota and The Wendy’s Company.